This course teaches the concepts of IP telephony based in system administration, including its function, features, and configuration. This is an entry-level course that begins with the basic concepts of IP telephony and very quickly moves the learner forward into an understanding of system concepts: clustering, creation of phones and users, route plans, digit manipulation, media resources, and phone features, which are all important to supporting IP telephony in the enterprise network. The course focuses on Cisco Unified Communications Manager version 8.x. All SLI Labs are using CUCM 9.x. This course includes various lab exercises to apply what was learned in each preceding lesson. Labs begin with a newly installed publisher and subscriber. The only element that is pre-configured is two MGCP gateways, for the headquarters (HQ) and branch (BR), and an intercluster trunk pointing to the neighbor’s pod. Therefore, the student will become familiar with all the various concepts through configuration of the elements in the lab environment. 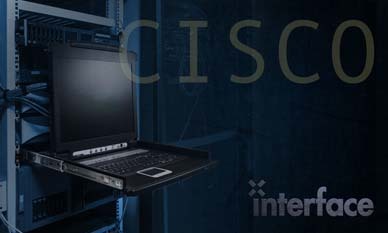 Administering Cisco Unity Connection (AUC) describes Cisco Unity Connection administration features, options, and configuration settings as they apply to the administrator. The course presents Cisco Unity Connection with the focused goal of providing the administrators with the necessary skills to perform their day-to-day job functions using the Cisco Unity Connection version 8.x system. Students that require skills beyond administration where engineering, integration, and networking skills are required should consider the Implementing Cisco Unity Connection (IUC) course. WANs, and IP switching and routing. Basic knowledge of traditional PSTN operations and technologies, including PBX and voice-mail administration tasks. Basic understanding of Cisco Unified Communications Manager.